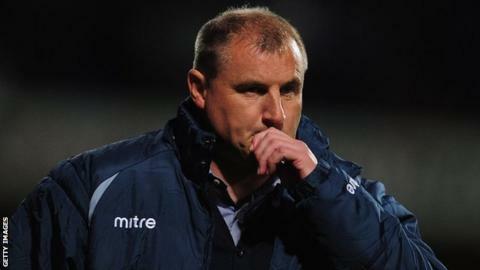 Manager Paul Jewell is attempting to draft in defensive cover before Ipswich Town's match with Charlton on Saturday. Jewell is seeking to bring in a centre-half on loan, with Luke Chambers and Tommy Smith currently his only options. The Blues boss is in talks with an agent and hopes to agree a deal before the deadline of midday on Saturday. Asked whether the past two months had been the toughest he had known for recruitment, Jewell said: "Yes, absolutely. It's been frustrating." Speaking to BBC Radio Suffolk, he said: "The clamour for new faces is always the same, people want new faces. We understand and we're aware we need to strengthen certain departments of the team. "We are doing it and trying to get the right player. You've got to be careful. We want to make sure that if we can get someone in they improve the squad." Ipswich have won just one of their opening six matches and sit second bottom of the Championship. Speaking to the club's website, Jewell added: "We are trying to bring in a player before the Charlton game. "It's someone we have been interested in before and I'm waiting on a phone call. I'll never say I'm confident, let's leave it as hopeful."